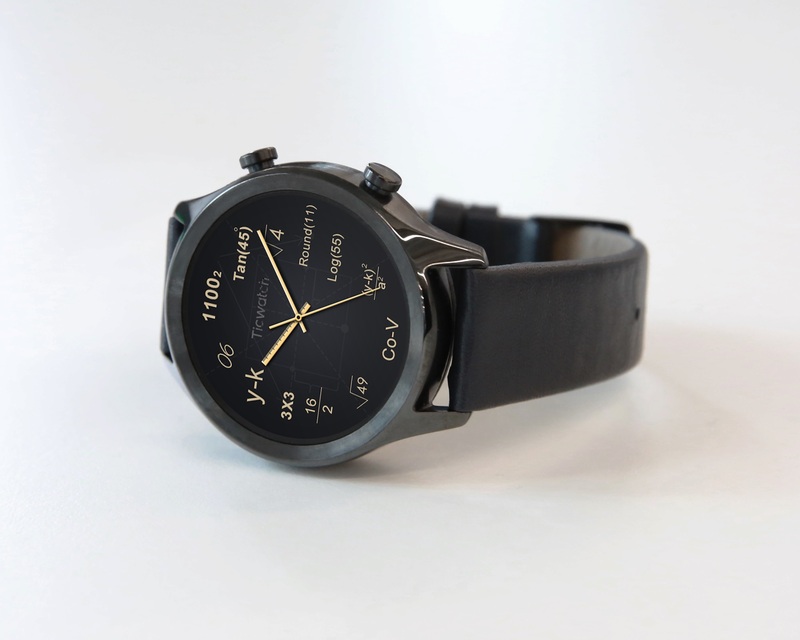 The TicWatch C2 is made from stainless steel and comes with interchangeable leather straps. 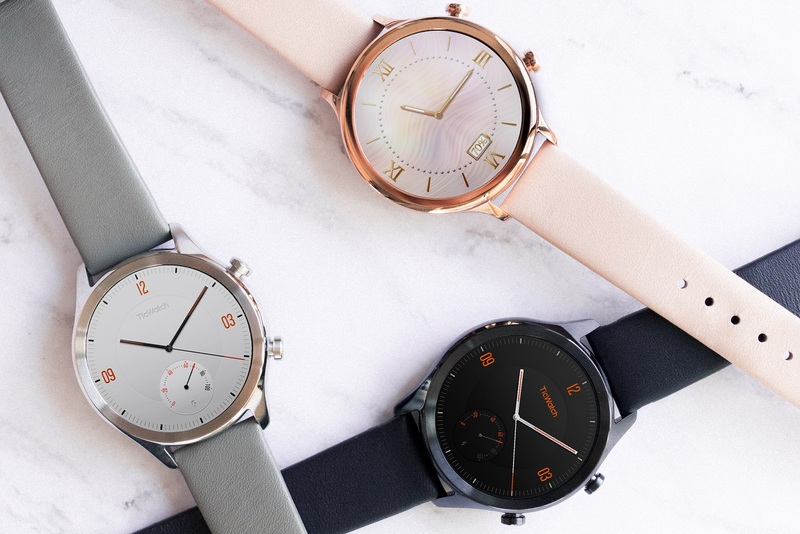 It’s powered the Qualcomm Snapdragon Wear 2100 processor and running Wear OS. The screen on the TicWatch C2 is a 1.3-inch AMOLED display with a resolution of 360 x 360. It also comes with NFC for Google Pay, IP68 waterproof, GPS, heart-rate sensor and has Bluetooth 4.1. The TicWatch C2 comes in two sizes, 18mm which comes in Rose Gold while the 20mm version comes in Black and Platinum. 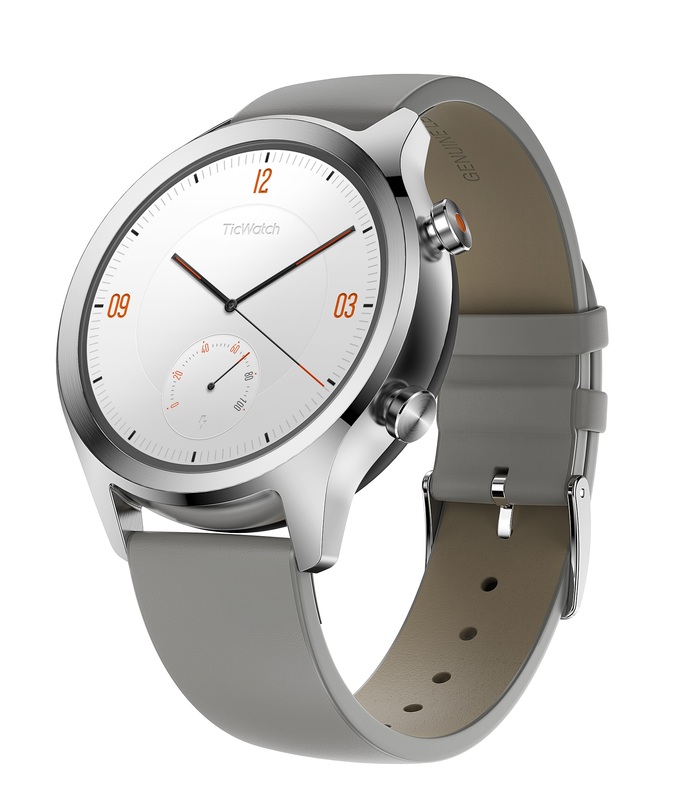 You can expect up to 2 days of battery life on the TicWatch C2, thanks to the 400mAh battery. The TicWatch C2 is available for pre-order now from Mobvoi’s website and Amazon for $199 USD and it’ll ship in the first week of December. Mobvoi also announced retail availability of their TicPods Free. 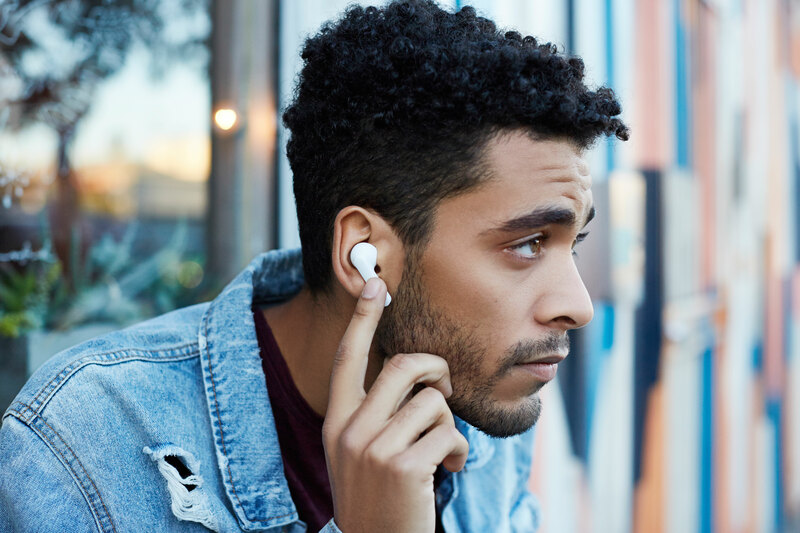 The TicPods Free are the company’s first truly wireless earbuds. The design takes inspiration from the Apple AirPods. The TicPods Free also features noise cancellation technology to help get the best call quality. The noise isolating design allows you to block out more outside noise when you’re wearing the TicPods Free. You can get up to 4 hours of battery life and the charging case can get you an additional 18 hours. The case for the TicPods Free gets a full charge within 40 minutes. The case charges over microUSB. The TicPods Free have Bluetooth 4.2 and are compatible with Google Assistant, Siri and Alexa. 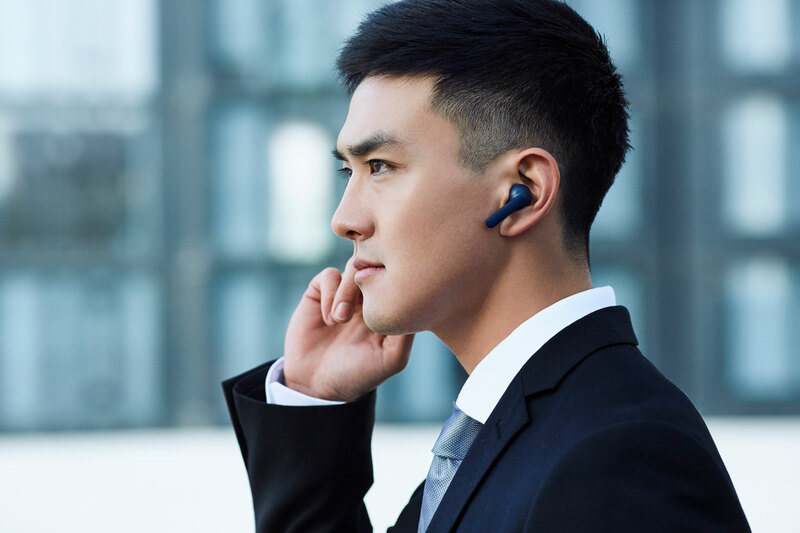 The TicPods Free are now available from their website and Amazon for $129 USD and they come in three colours, black, white and red.